Retired CIA agent Frank Moses (Bruce Willis) reunites his unlikely team of elite operatives to track down a missing nuclear device. This time, they must survive an army of ruthless assassins, terrorists, and power-crazed government officials all eager to own the portable nuke. 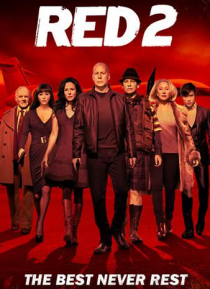 Relying on their wits, cunning, and old-school skills, Moses and his team fight to save the planet once again in this high… -octane sequel to the action hit RED.